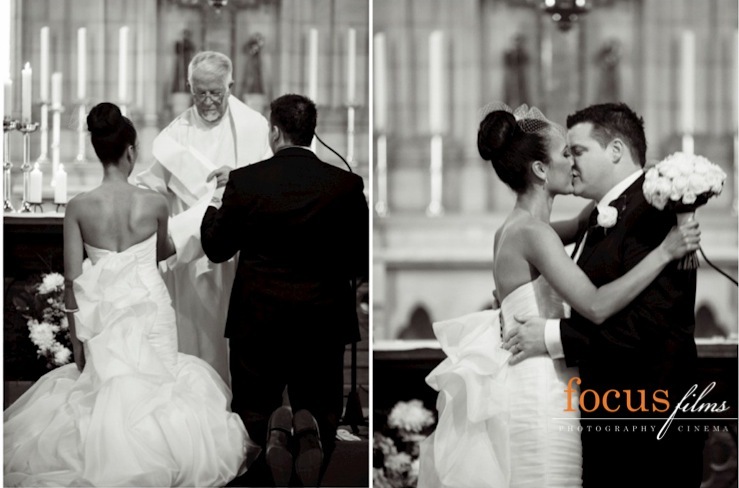 There's not a lot i don't love about today's real wedding. 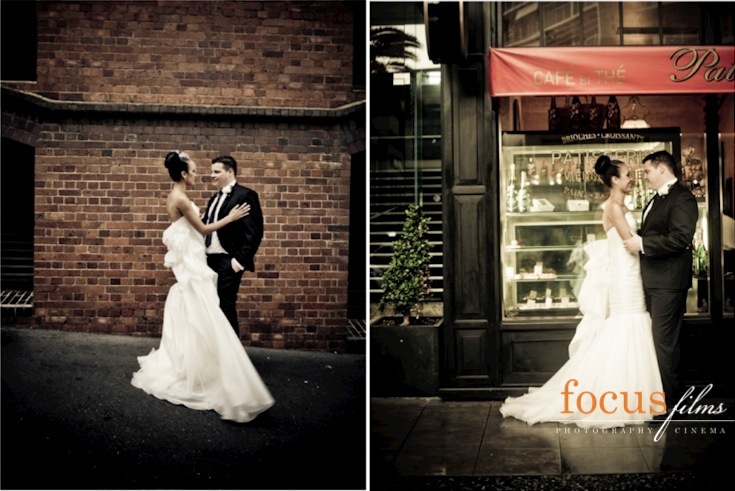 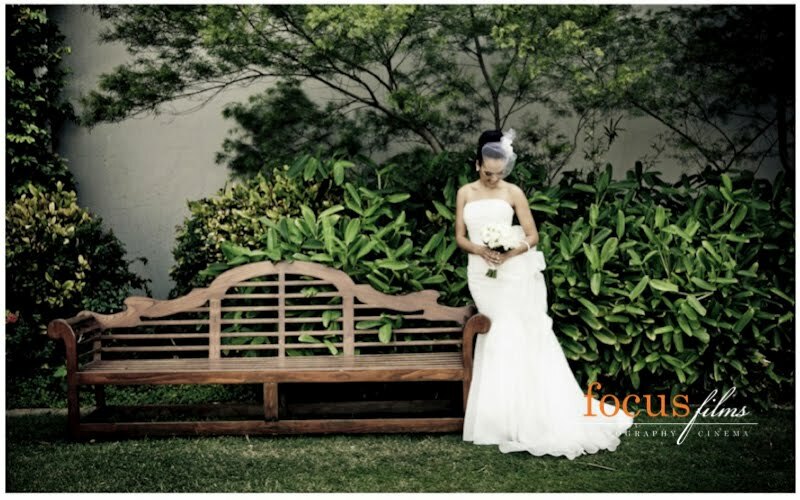 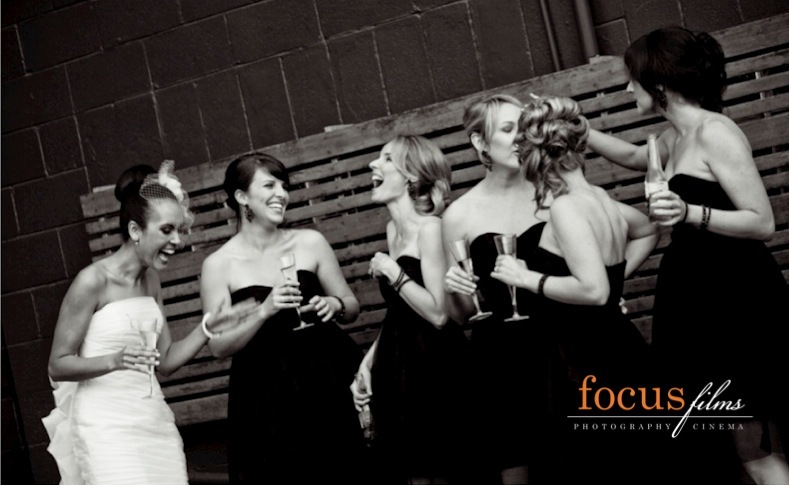 The photography by Focus Films is brilliant!!! 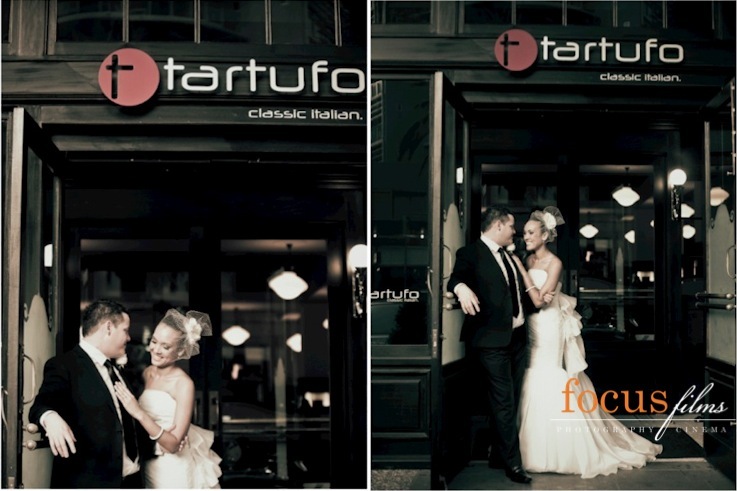 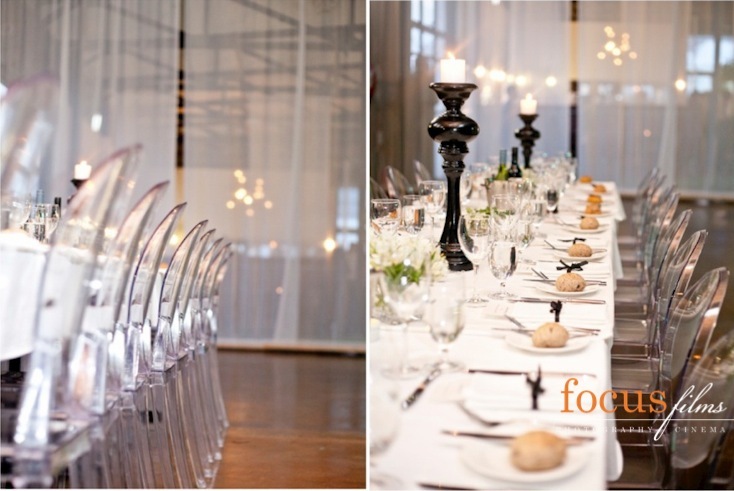 I love the European feel of the images at Tartufo restaurant and the classic black and white images of the bride racing to the aisle. 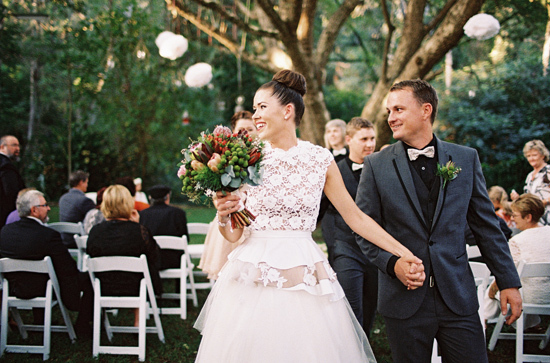 Everything is simply stunning, from the enchanting bird cage veil, to the bridesmaids attention-grabbing heels and the suave groom and his friends. 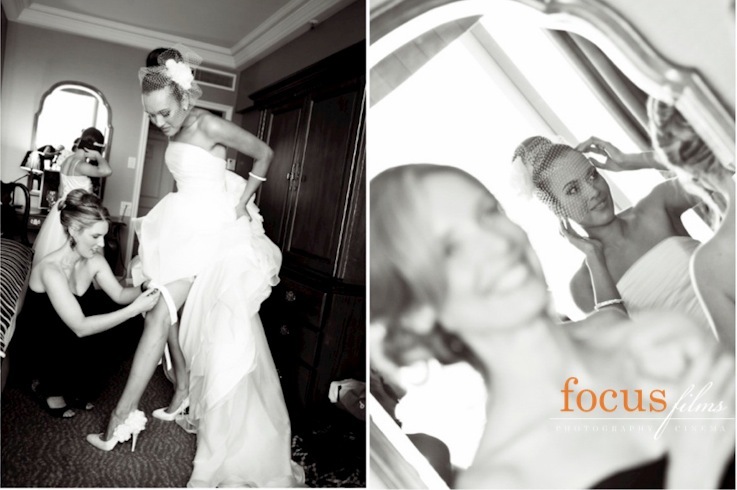 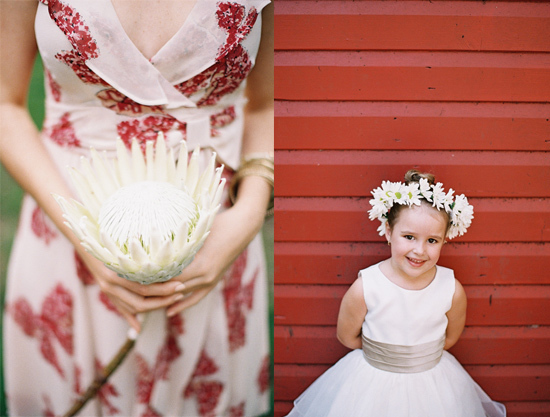 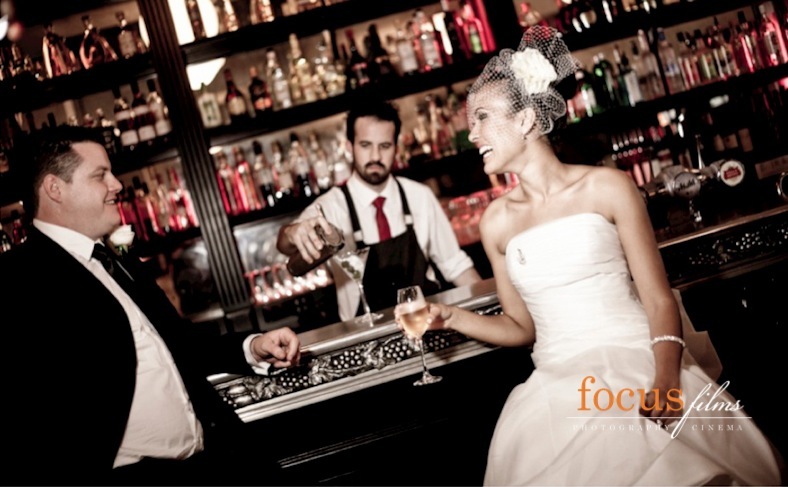 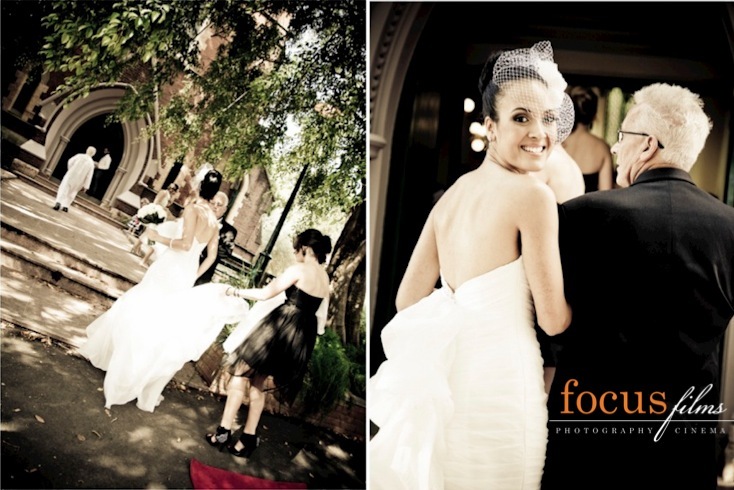 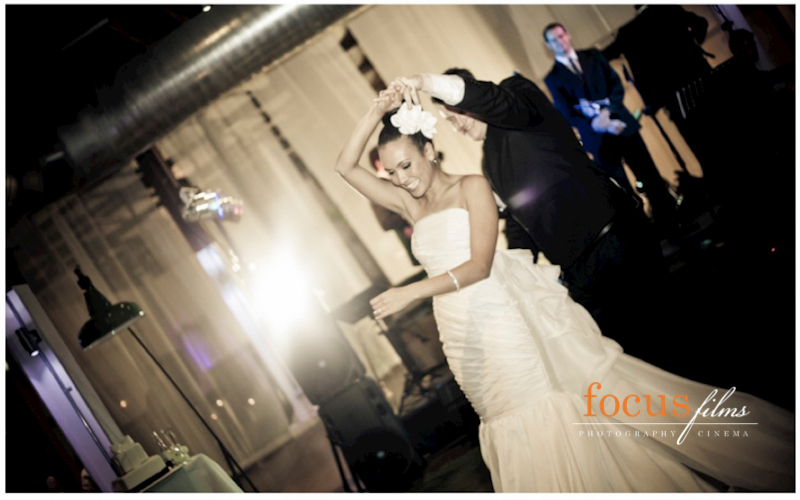 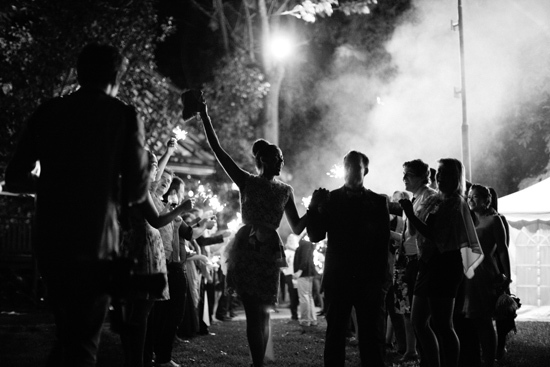 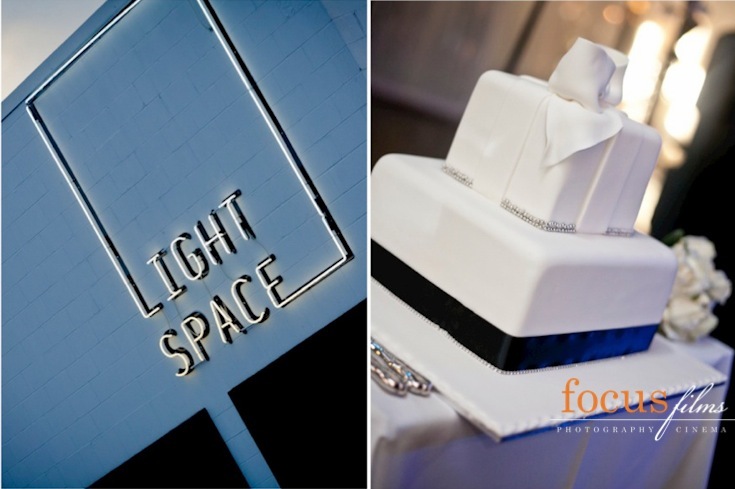 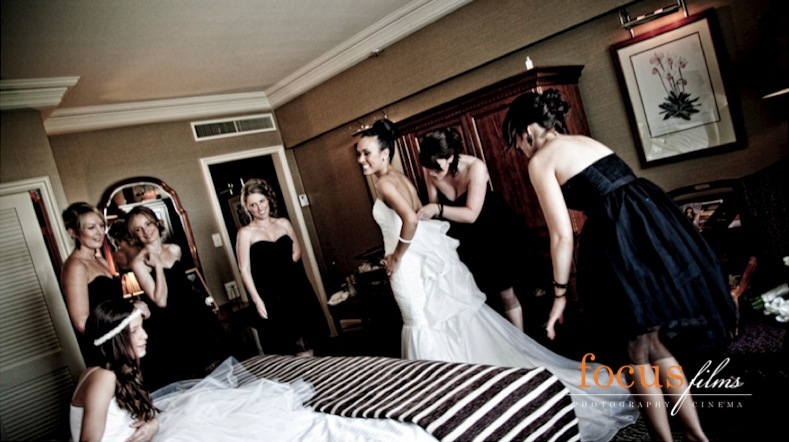 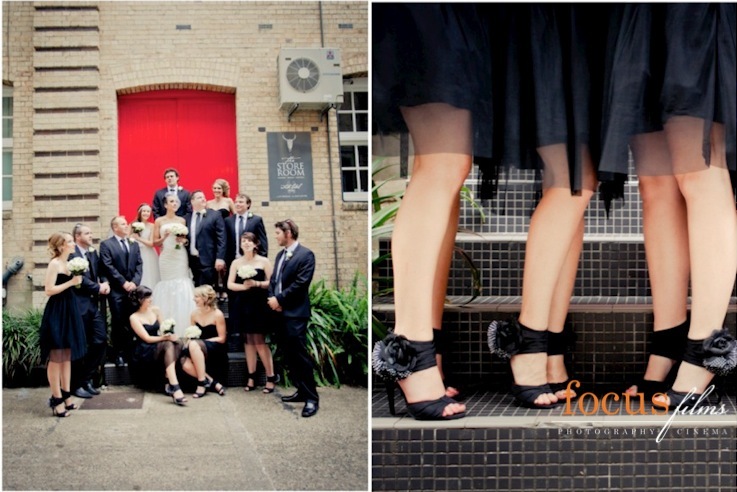 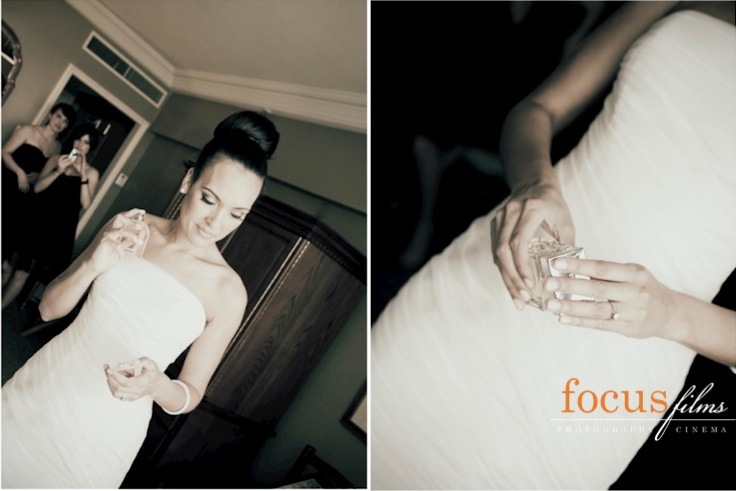 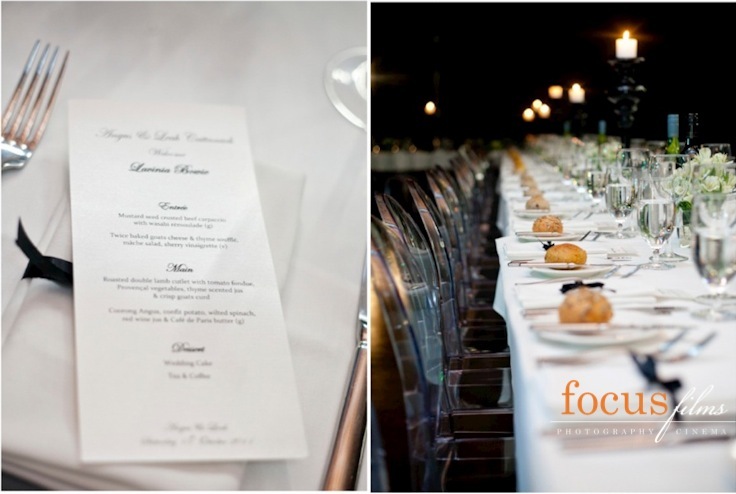 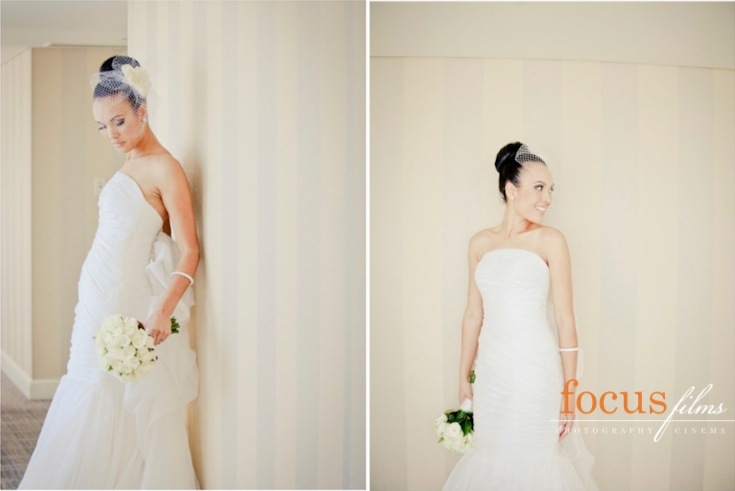 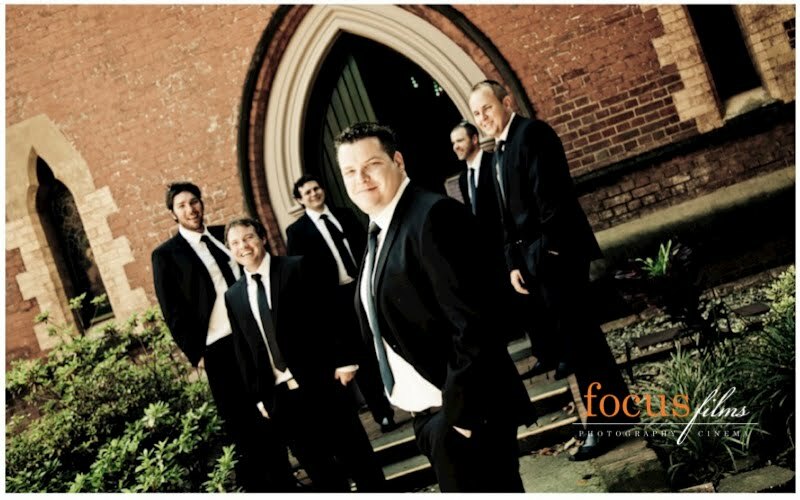 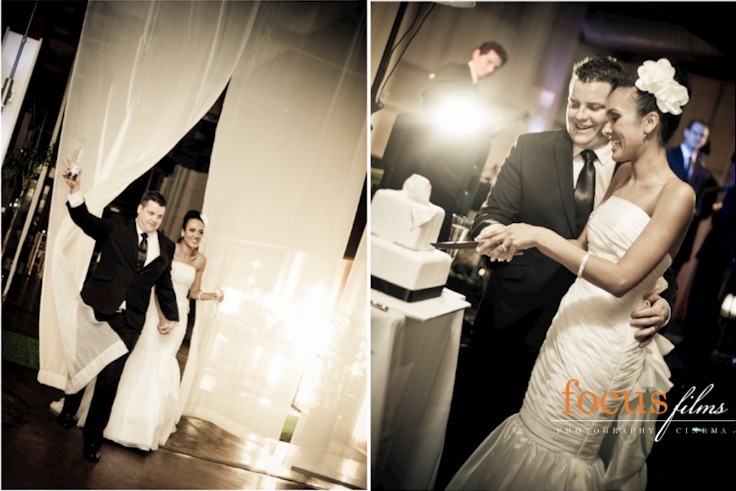 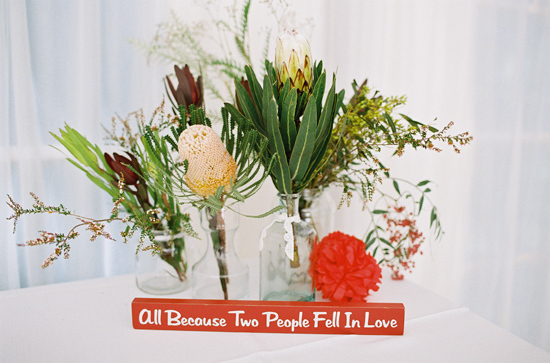 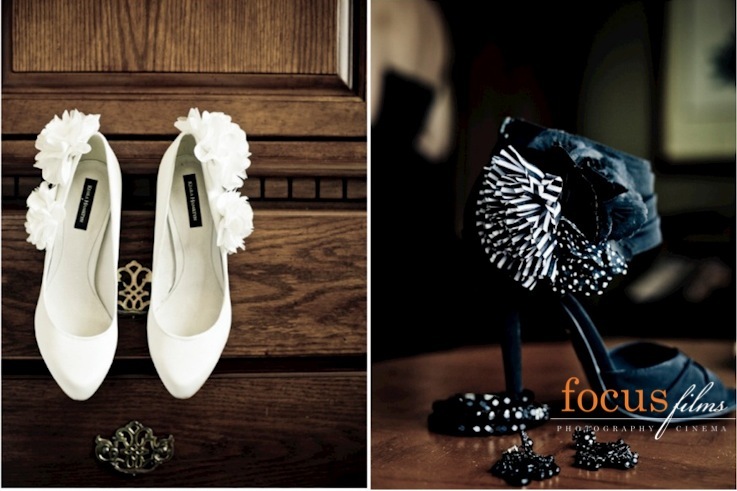 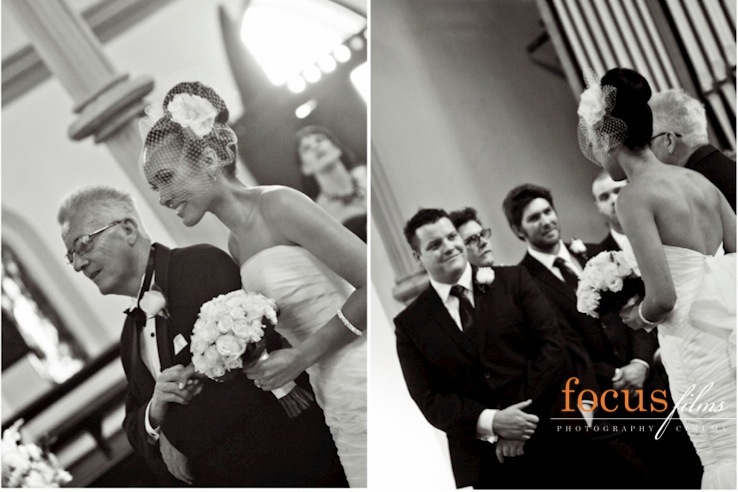 Focus Films has done a magnificent job capturing the beauty of Leah and Angus' wedding day. 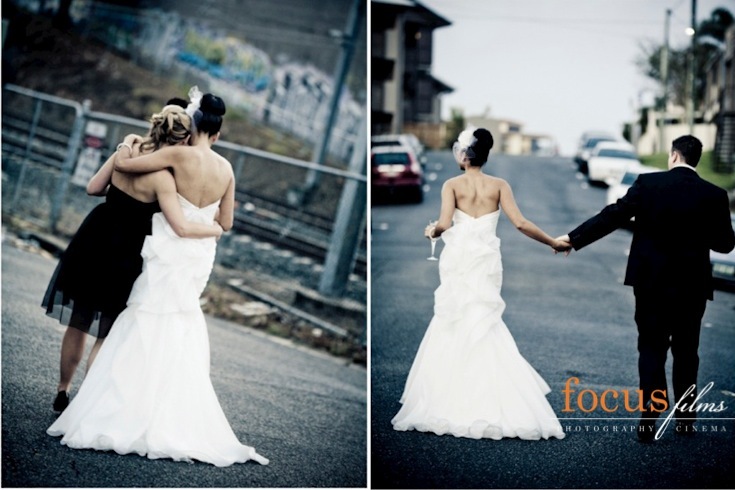 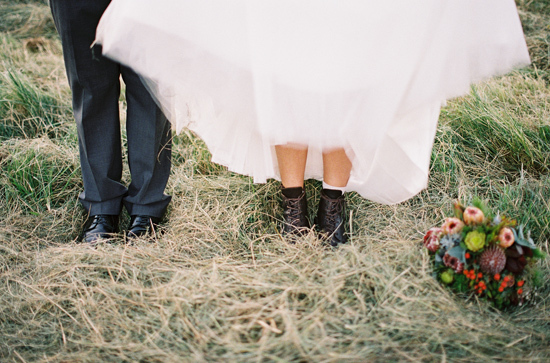 What do you do with your wedding dress after your big day? 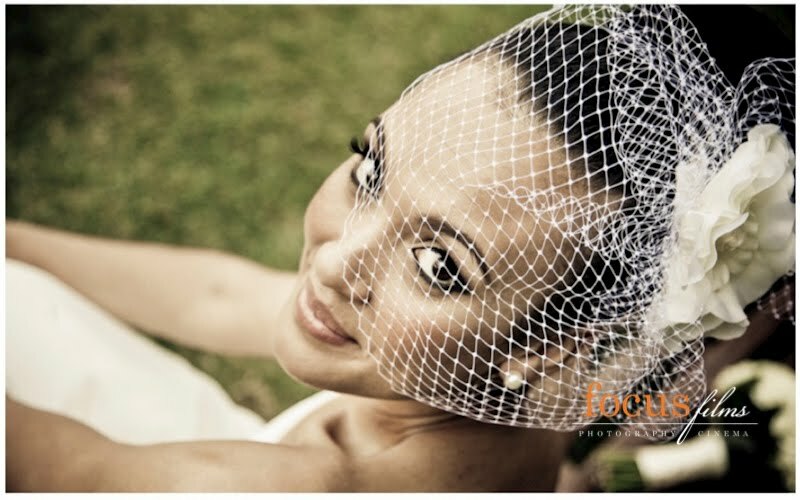 You re-style it and wear it again of course !! 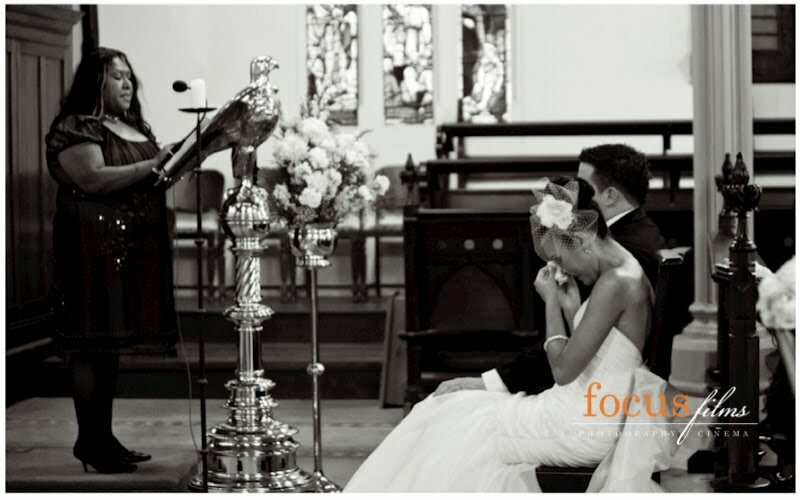 It's one of those days... a day when i came across a wedding that is photographed so perfectly that the beauty and essence of the day just jumps off my computer and caresses me. 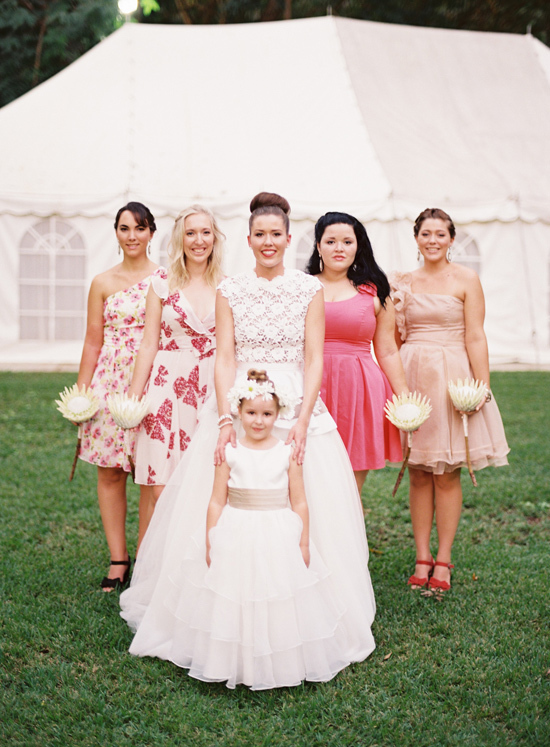 This wedding showcases so many wedding trends that i absolutely love, like the gorgeous ballerina bun hairstyle, the peplum gown, mismatched bridesmaids dresses and the brides second wedding dress. 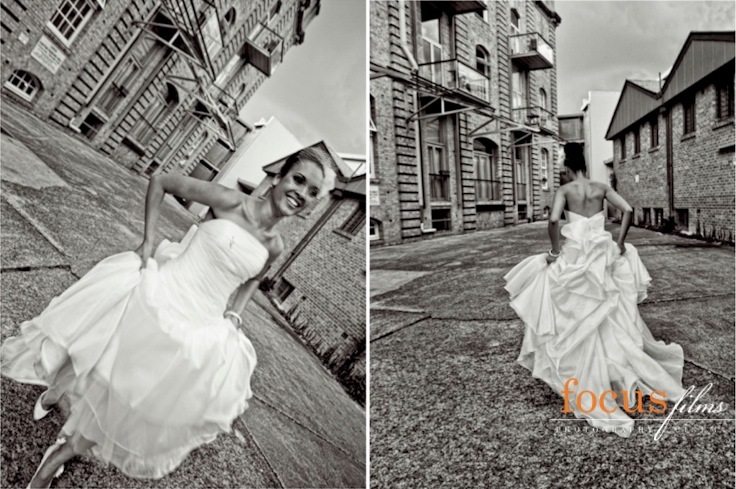 You only have to look at the brides dress to know that this is one stylish bride. 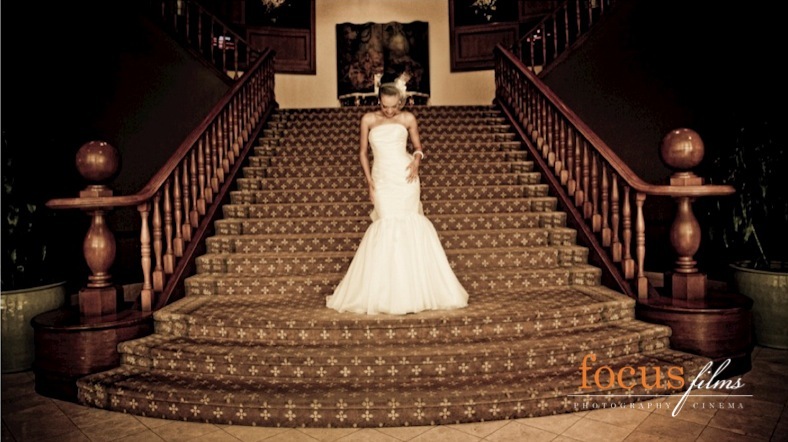 Her gown is a mix of three different designers. 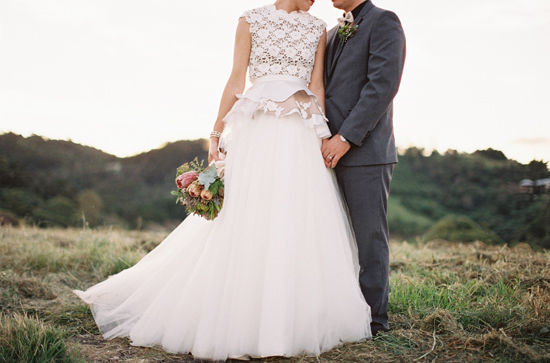 The crocheted bodice is by Collette Dinnigan, the tulle skirt by Karen Willis Holmes and the peplum detail by Paddington Brides... what a stunning mix! 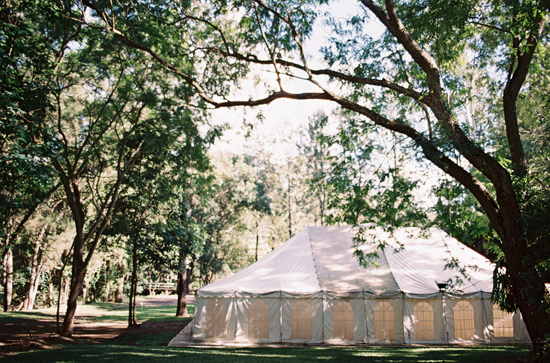 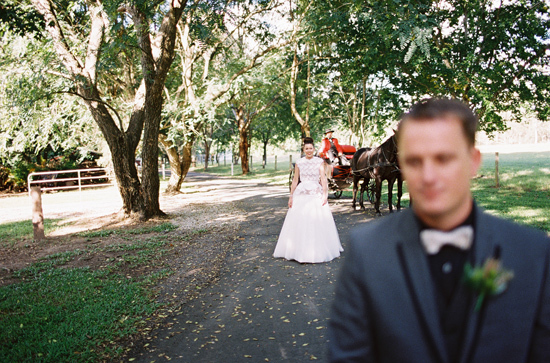 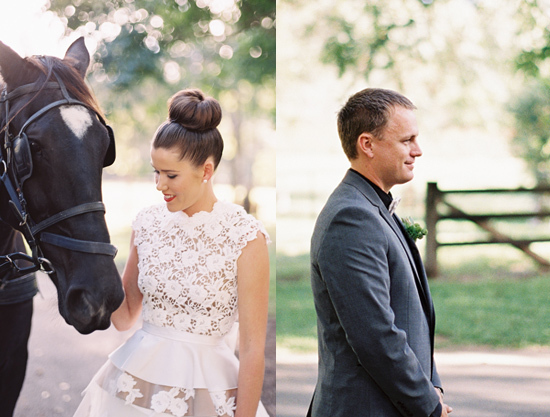 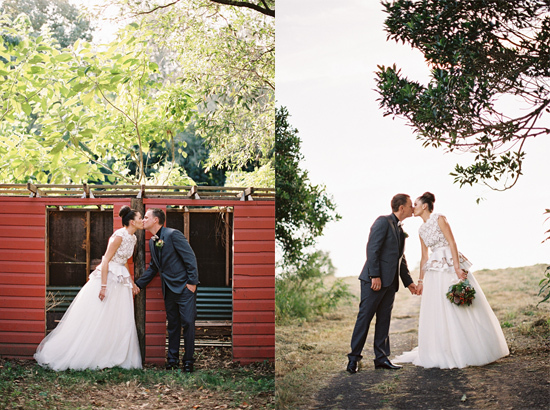 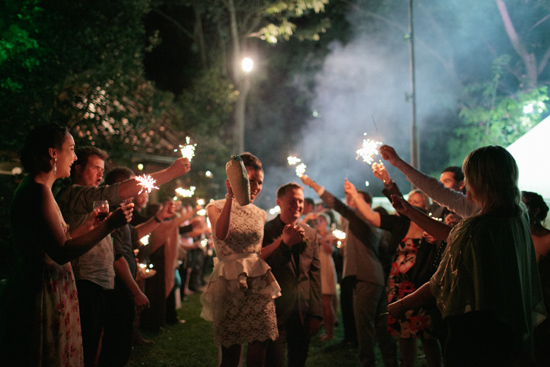 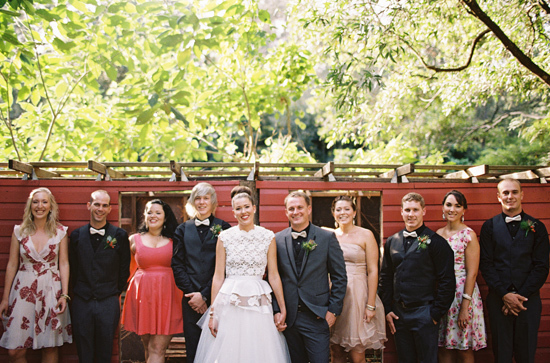 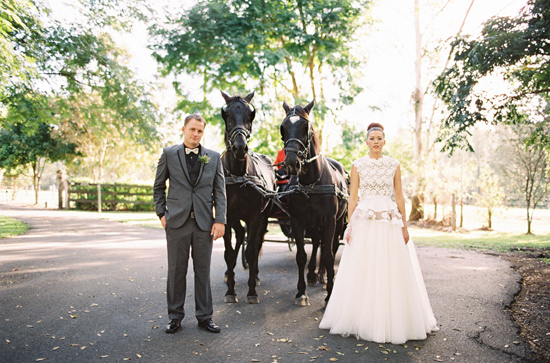 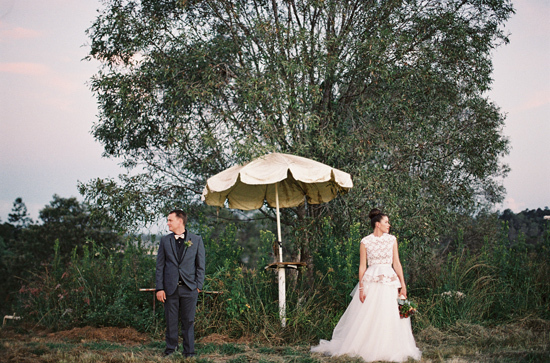 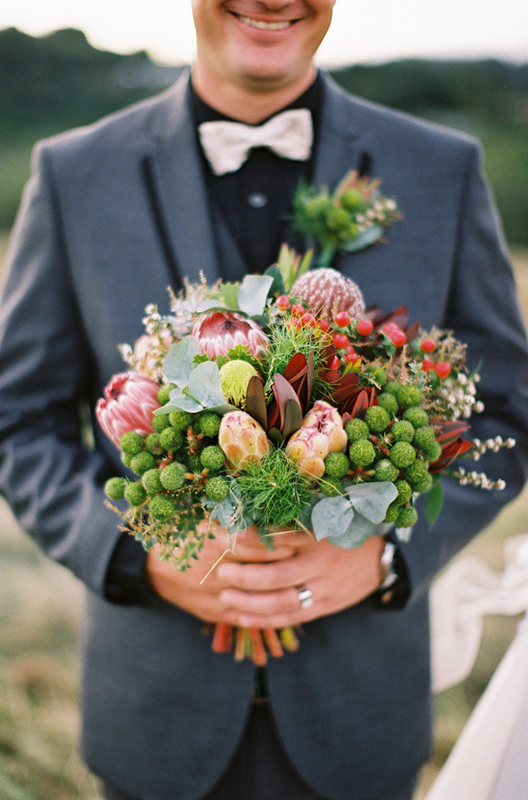 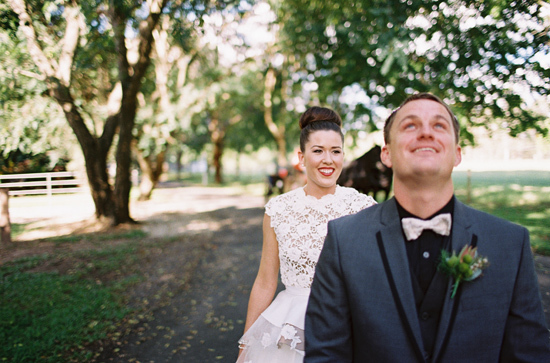 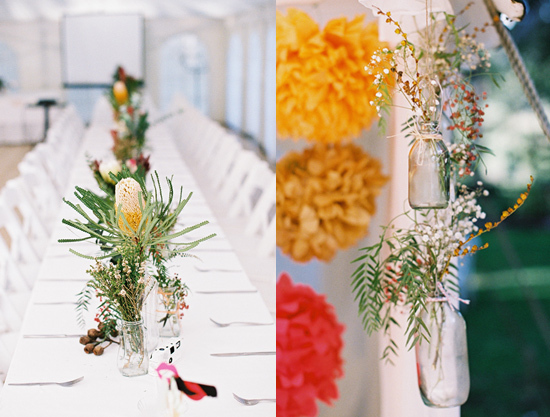 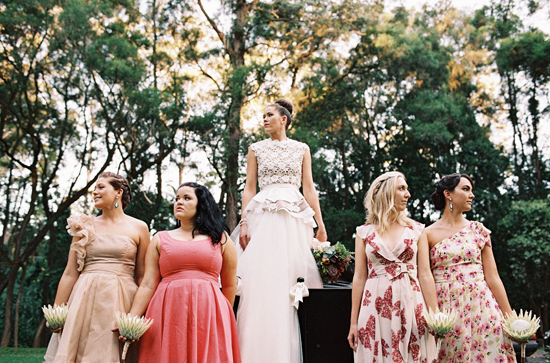 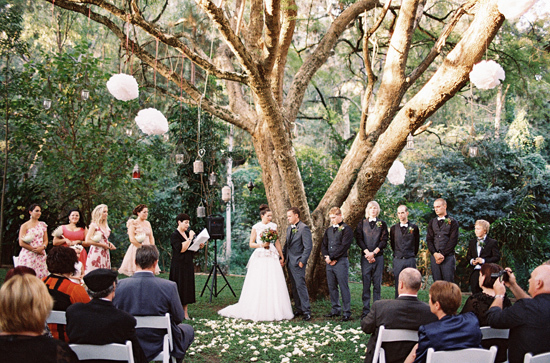 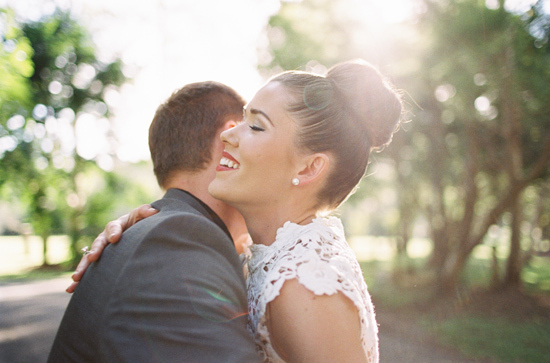 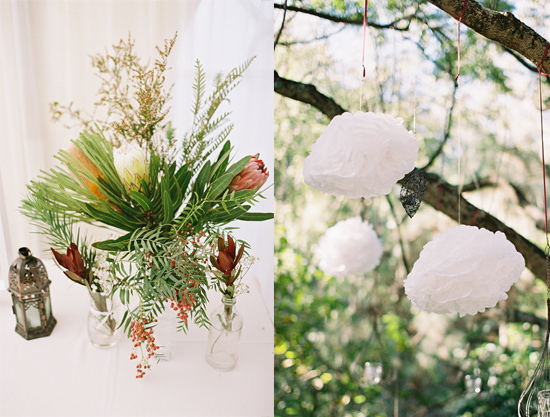 Thanks to Queensland Brides Magazine for sharing this gorgeous wedding and Seth and Tenielle from Feather and Stone for blowing me away with your photography.